If you follow me on Twitter, you might see me tweet a “Seratelli photo of the day” often. 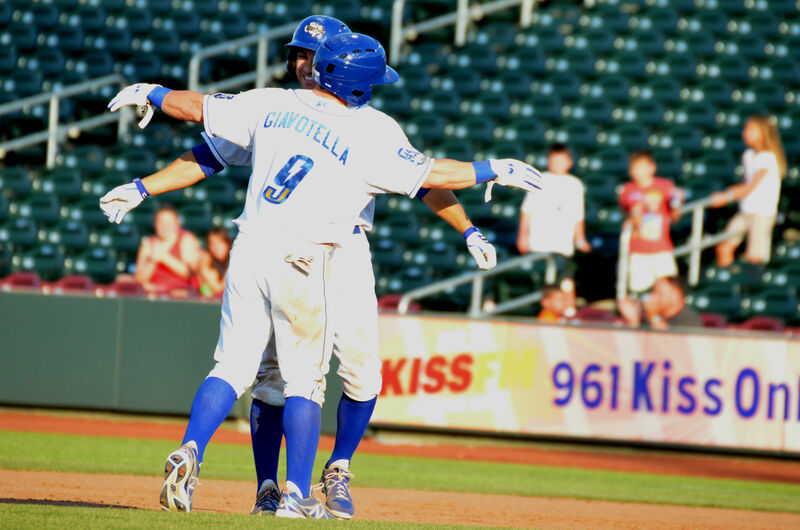 The team has been away, so it’s been a while, but today’s was an obvious choice – Seratelli drove in the winning run for Omaha in the 11th inning this afternoon. Here’s Johnny Giavotella greeting him on the field.